Obituary – Divine Jr., John Wesley “Jack” « Perry High School Alumni Association, Inc.
﻿Wrestling 49-53, Perryscope Staff 52-53, Teen Town Council 51-52, band 49-53, Band Vice-President 52-53, Football Queen Publicity Manager 50-51, F. T.A. 50-53, Treasurer of F. T.A. 51-52, Reporter of F. T. A. 52-53, State Vice-President of F. T. A. 52-53, All School Play 50-51, Junior Play 51-52, Class Assemblies 49-51, National Honor Society 51-52, President of National Honor Society 52-53, Boys State 52, President of Jr. National Honor Society 49-50, Annual Play 52-53. John Wesley “Jack” Divine, Jr.
Chaplain Jack Divine could strike up a conversation with anyone — from the checkout clerk at the grocery store to the Rev. Dr. Martin Luther King. To be with Jack was to relish his warmth and enjoy friendly and often humorous conversation. When you entered a room, no matter how crowded and noisy, Jack’s voice stood out. He grew up with everyone loving him and lived his life loving everyone else — none more so than his family. Jack died Friday night at age 82. He had just attended a Kansas City Royals game with his wife, Anne, and collapsed walking back to their car. Jack was born in Perry, Okla., the only child to John and Myrtle Divine, but grew up surrounded by a close-knit clan of loving aunts, uncles and cousins. He graduated in 1953 from Perry High School, where his father was the principal and wrestling coach. Jack developed a lifelong love of the sport and officiated at many meets in the Leavenworth, Kan., area and regularly attended the NCAA wrestling championships. His Perry connections ran deep. He loved bringing his children and grandchildren to his hometown, where they got to ride in the back of a pickup, see sunrises at the farm, count cows, ride horses, eat pie at the Kumback Cafe and hear stories about his childhood. 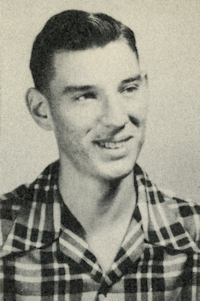 In 1958, Jack graduated with a bachelor’s degree in mathematics from Phillips University in Enid, Okla. He paid his own way through school working as a reporter and photographer for the Perry Daily Journal and the Enid News & Eagle. He met his first wife, Wendy Matson, at Phillips, and they were married in 1959. They traveled through Europe together, and were sent by the church mission board to work at a camp for displaced Hungarian women in Bad Gasten, Austria. In 1961 they moved to Chicago, where Jack attended the University of Chicago Divinity School. He was a passionate advocate for civil rights, traveling to Alabama to join the clergy march from Selma to Montgomery on “Turnaround Tuesday” in 1965. After graduating from divinity school, Jack served the Christian Church (Disciples of Christ) in West Pullman on the south side of Chicago, and was later called to be minister of the Gurnee, Ill., Community Church, which he led from 1965 to 1972. In 1973, he married Anne Frances Benjamin. The couple moved to Danville, Ill., where Jack served as a chaplain for the Department of Veterans Administration. In 1978, they moved to Lansing, Kan., where he worked as a chaplain and chief of chaplains for the Veteran Affairs Medical Center in Leavenworth until retiring in 1996. A longtime member of the First Christian Church of Leavenworth, Jack also served as its associate pastor for several years. As a minister, Jack baptized, married, or buried hundreds of people in the Leavenworth area. He could not walk into a restaurant, the Leavenworth Public Library or Price Chopper without meeting someone he knew. Jack joined the Diehard Chicago Cubs Fan Club in 1960. Eighteen years later, after moving to Lansing, he became a Kansas City Royals season-ticket holder. No one was happier to see his two favorite teams win the World Series, the Royals in 2015 and the Cubs in 2016, after waiting so long. God bless Ben Zobrist. He loved telling stories, fishing for walleye and playing Hearts and Huck-a-Buck at the cabin in Canada. He was a master card player — nobody could beat him at gin rummy — and he was part of three monthly poker groups. He took great pleasure in weighing his winnings — a purple Crown Royal bag full of loose quarters — on the kitchen scale after poker night. He reveled in rolling double sixes in backgammon, playing golf with friends, drinking English Breakfast tea, sipping Jack Daniel’s and smoking a good Dominican cigar. He was always the first person to call on your birthday — continuing a tradition started by his father. Any time after 6 a.m. was fair game. The phone would ring, and his big, booming voice would fill the miles between you. Jack pitched softball with undying hope. His left knee would fly up, distracting the batter, and his right hand would release an arcing ball that would paint the corner. Pity the ump who dared to call it a ball. He and Anne traveled the world together, literally. Among their favorite destinations: Zimbabwe, the Galapagos, Machu Picchu, Australia and Ireland. Jack served on the Lansing, Kan., City Council and later ran for the Kansas State Senate and for the Kansas House. 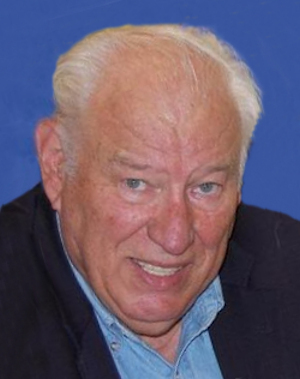 He was a past president and longtime member of the Leavenworth Rotary Club, a former board member of the Leavenworth Public Library and a member of the board of the Credit Union of Leavenworth County. Jack is survived by Anne, his wife of 44 years; his daughter and daughter-in-law, Jennifer Divine and Laureen France, of Seattle, Wash.; his daughter and son-in-law, Mary Divine Myers and Greg Myers, of St. Paul, Minn., and his son and daughter-in-law, John Wesley “Sean” Divine III and Deb Malmon, of Minneapolis, Minn. The greatest joy in his life was being grandfather to Eva France Divine; Henry, Frances and Frederick Myers, and Solomon Divine. He spoiled all his pets and is missed by Kira, Clyde, Mystic and Salvador “Salvy” Perez. A funeral service will be held at 2 p.m. Sunday, August 27, at the First Christian Church, 130 N. Sixth St, Leavenworth, KS 66048; visitation will be from 4-6 p.m. Saturday at the church. A private burial will follow. In lieu of flowers, memorials are suggested to GiGi’s Playhouse Twin Cities, a Down Syndrome Achievement Center, 4740 Park Glen Road, St. Louis Park, MN 55416, or the John Divine scholarship fund of the Perry High School Alumni Association, P.O. Box 327, Perry, OK 73077.